Wreaths Across America sponsorships start at $15. The goal is one wreath for every grave for a total of 18,843 wreaths. 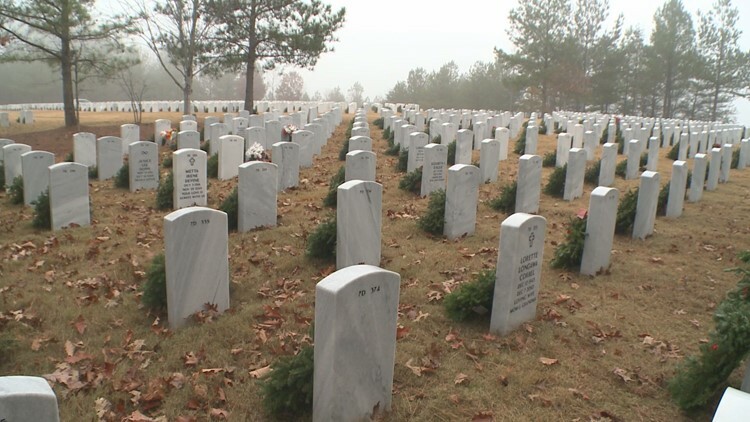 MARIETTA, Ga. — Organizers of Wreaths Across America at Marietta National Cemetery are hoping for enough to place a wreath at every grave this holiday season. "They deserve this at the holidays," said historian Brad Quinlin. 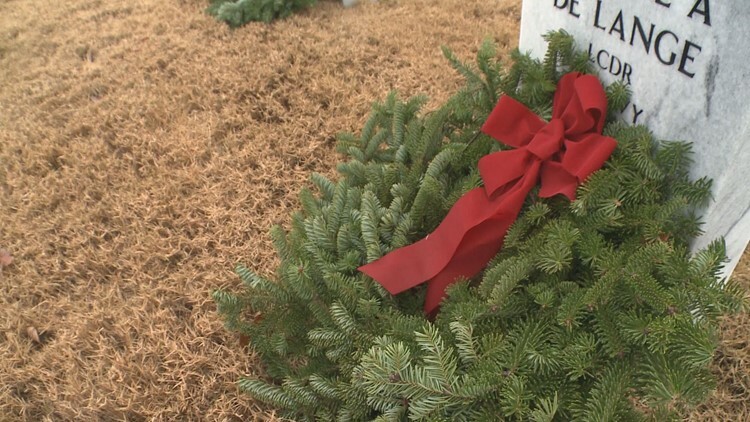 "Last year, we had 11,033 wreaths. We need 18, 843 to place a wreath on every gave." It costs $15 to sponsor one wreath through Wreaths Across America. The deadline to order is December 1. The cost of sponsoring each wreath is $15. You can specify Marietta National Cemetery during the ordering process. The annual wreath-laying began in 1992 when Morrill Worcester, owner of Worcester Wreath Co. of Harrington, MA, found his company with a surplus of wreaths nearing the end of the holiday season. Wreaths Across America started small in 1992. Remembering a childhood trip to Arlington National Cemetery, Worcester made arrangements for the wreaths to be placed at Arlington in one of the older sections of the cemetery that had been receiving fewer visitors with each passing year. Worcester began sending seven wreaths to every state, one for each branch of the military, and for POW/MIAs. In 2006, with the help of the Civil Air Patrol and other civic organizations, simultaneous wreath-laying ceremonies were held at over 150 locations around the country. In 2014, Wreaths Across America and its national network of volunteers laid more than 700,000 memorial wreaths at 1,000 locations in the United States and beyond, including ceremonies at the Pearl Harbor Memorial, as well as Bunker Hill, Valley Forge and the sites of the Sept. 11 attacks. 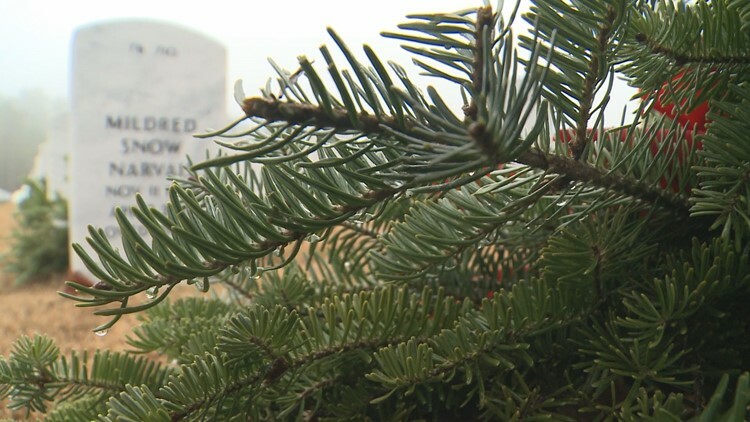 This year's goal is more than 18,000 wreaths.